Remember when you started your business, and you were so excited about learning all the new tools and technologies? You’d spend hours painstakingly creating a header graphic for a website, or several days writing a how-to article to share with your clients. You probably even spent a week or so learning the ins and outs of your hosting plan just to install a new blog. It’s time to think about hiring some help. It’s time you considered how outsourcing those tasks can actually make you money. And this checklist can help! 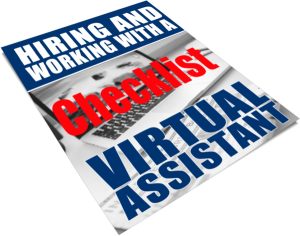 Enter your name and email and get a free copy of my new checklist “How to Hire and Work with a Virtual Assistant”!! !